Description: Remnants of trestle No. 17 along the old East Branch & Lincoln Railroad (1893-1948) in the Pemigewasset Wilderness of Lincoln, New Hampshire. 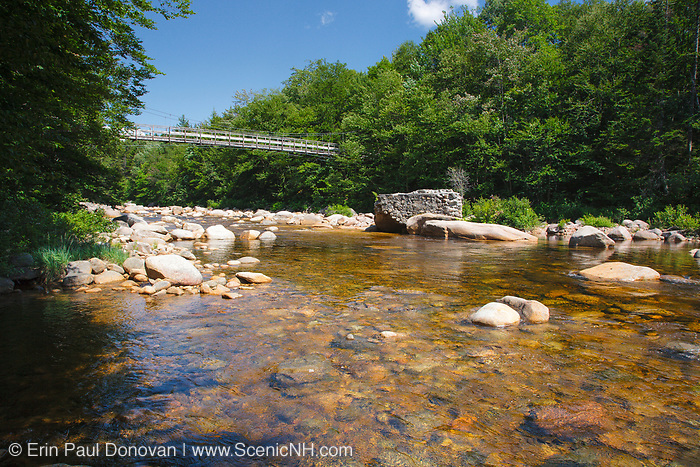 This trestle spanned the East Branch of the Pemigewasset River near Camp 17. The 180 foot suspension bridge, which also spanned the river along the Wilderness Trail can be seen in the background. This bridge has since been removed because of safety issues.